You know the saying, “Do unto others as you would yourself”? For sexual abuse survivors, this maxim usually plays out in reverse. 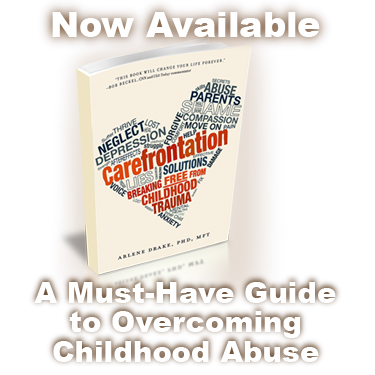 Adult abuse survivors are typically self-critical and unforgiving of their own flaws, but intensely compassionate and understanding when it comes to the shortcomings of others. Yet, it is critical for survivors seeking to heal from childhood abuse to flip this dynamic in their favor. But no matter what the Emily Post-esque manners manuals tell us, learning to be a good parent or an supportive friend to yourself? It’s flippin’ hard! I wrote several blogs about the therapeutic tools for sexual abuse survivors that I use in therapy to help this crucial process. I think it’s something that many adult survivors of childhood trauma struggle with – they want to dig deep and heal, but it’s not always easy to do the work. Part of the work is reparenting and repairing yourself! Often times, this is the most difficult thing for adult survivors to do. Peter: I grew up with parents who were drug addicts and alcoholics. We moved around a lot. There was a lot of physical abuse in our home. Mom and dad beat each other up a lot and spanked us a lot. The cops knew our address by heart. Many times one parent would overdose. By age 12 I was being molested by the 55 year old mayor of my town. He said he was “helping” me to figure out whether or not I was gay. When I was 18 I graduated and moved as far west as I could. I became a drug addict myself. When I was 22 I got sober in AA. Throughout my recovery there have been issues that I laughed off, like childhood abuse, child abandonment and sexual molestation. These same issues that caused me to build a wall around me that keeps me in and you out were also at the root of a lot of self sabotage. My relationships have almost all ended in some form because of them. I came to therapy to face these issues and patterns head on and grow past them. Peter: I always have a feeling of urgency. Like I’m late or missing something always. Even when I have plenty of time to get from point A to point B, I still feel anxious. It comes out in the form of anger and road rage. I have hit other cars with my own on purpose, followed people for blocks going well out of my way to harass them, I used to throw pennies at cars that pissed me off and I used my horn non stop or yelled and flipped the bird. Peter: Usually something small like someone not using their turn signal, or driving to close behind me. Maybe talking on their phone or texting. Cutting me off. Or someone trying to get into my lane and then when I let them they don’t give a friendly wave and mouth a “thanks”. And the list could go on and on and on. Arlene: How did you respond to the incident prior to working with me? Peter: Well I chased people, cussed them out, had them chase me back, follow me back, I threw penny’s at them, cussed and cut people off. Arlene: How did your road rage change while in therapy? Peter: It got better. I wasn’t comfortable with my behavior any more and felt a lot of shame as opposed to not thinking about it and justifying my actions like before. Arlene: What tools did you use to re-parent yourself? Peter: I started with the basics. Breathing! I found that in a lot of these situations I wasn’t allowing enough breath and I would get worked up even more. So breathing has been key. I also like to use redirecting. When I find I’m fixated on someone and what I think they’re doing wrong on the road I just look the other way. It sounds simple but it helps A LOT! I also imagine that I have a child in my passenger seat and try to behave and act in a manner that is suitable for a child to witness. A manner that is “safe”. I also talk to my child. I ask him what’s going on and if there’s anything I can do. The answer is usually “feed me”, “I’m tired”, or “please drive safer”. Very simple. When all else fails, I try and stop and imagine these people that are “in my way” as the real people that they are, with lives and families and places to go themselves. Then I realize that it’s not all about me and I start to have a lot more harmony behind the wheel. Arlene: How helpful were these re-parenting tools while driving? Arlene: Do you still experience road rage? Peter: Yes but not to the extreme that I did before and not nearly as often. Before it was pretty much anytime I was in the car, I was going to have an episode. Now it takes a lot to get me to that dark place. And it’s usually when I am not using any of the tools I have. If I use those tools, I’m fine.